This program is for students who have completed an associate degree. Become a leader in the criminal justice field, and earn your Bachelor of Applied Studies in Criminal Justice. 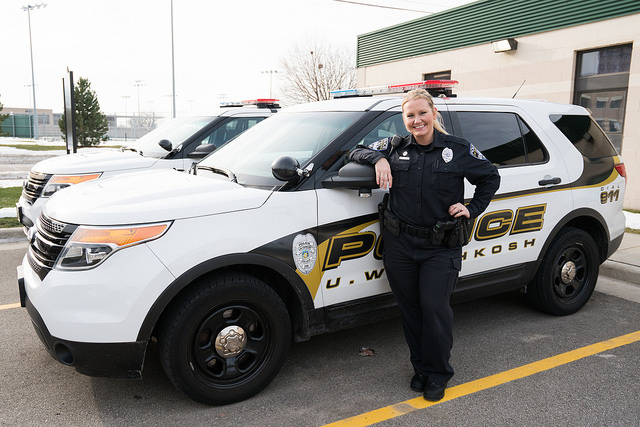 Gain a better understanding of the complex systems of law enforcement and corrections, and increase your career potential with a bachelor’s degree. The BAS Criminal Justice program is for students who have an associate’s degree in criminal justice, forensic science or security and asset protection. For full-time students with 60 or more transferable credits, the BAS Criminal Justice degree can be completed in as little as two years. From small classes to dedicated advisors, students in UW Oshkosh online degree programs have a strong support network from day one. Learn how your credits transfer! Contact an advisor today to learn more. Take the first step on your journey, and apply online at apply.wisconsin.edu. The Criminal Justice program is offered completely online! Most courses are delivered in accelerated, seven-week sessions, which offer additional flexibility for students working full-time. And with our fixed, flat-rate tuition, budgeting for your degree is easy. Financial Aid is available. For more information, call (920) 424-0234 or toll-free (800) 633-1442. You can also request more information online.